Welcome to the Miracles of the Saints website where we will explore all the extraordinary graces that God has wrought in the lives of the Saints, His beloved servants. While God reveals Himself in all the marvels of creation, His has chosen to manifest Himself and His love for humanity in very special manner in the lives of His Saints. For in the Gospel of John, Jesus said to His disciples: "Believe me that I am in the Father and the Father is in me, or else, believe because of the works themselves. Truly I say to you, whoever believes in me will do the works that I do, and will do greater ones than these, because I am going to the Father. And whatever you ask in my name, I will do, so that the Father may be glorified in the Son"
So given Jesus' promise, it is not at all surprising then that the servants of God have wrought the most remarkable miracles in the name of Jesus, such as Saints who raised the dead, miraculous cures and healings, prophecy, bilocation, stigmata, the crown of thorns, mystical knowledge, levitation and ecstatic flights, miraculous voices from heaven, gift of understanding and also speaking foriegn and ancient biblical languages, miracles with animals , Saints whose bodies remain incorrupt after death, miraculous mail deliveries, and complete fasting from food for years, to name just a few. The purpose then of this website is to reveal some of these marvelous works of God in the lives of His Saints, that those who visit here may love Him all the more. -All for the greater glory of God! In my misery I knew not what to answer. Then She continued: 'I will be a Mother to you; will you show yourself a true daughter?' And after saying this She opened her mantle and covered me with it. At that instant Jesus appeared with all His wounds open; but blood no longer issued from those wounds, but flames of fire. In an instant those flames came and touched my hands, feet and heart. I felt I was dying and should have fallen had not my Mom held me up, I remaining all the while covered with her mantle, and thus I remained for several hours. Afterwards my Mom kissed me on the forehead, then everything vanished and I found myself kneeling on the ground, but still feeling intense pain in my hands, feet and heart. I got up to go to bed and saw blood flowing from those places where I felt the pain. I covered them up as best I could and then, with the help of my guardian angel, got into bed." "Signora Concetta Bellarmini of S. Vito Lanciano declares that she was suddenly stricken with a blood infection followed by bronchial pneumonia with a very high fever. She was reduced to such a state that the doctors despaired of ever saving her. The flesh had become yellow from the infection which had spread throughout her body. "A relative urged her to direct her prayers to Padre Pio. She prayed to him whom she has never seen, when suddenly in full daylight a stigmatized monk appeared to her and smiling blessed her without touching her as he stood in the middle of the room. The woman asked him if his appearance signified the grace for the conversion of her children, or else the grace for her physical cure. Then Padre answered, "On Sunday morning you will be cured," then he vanished from the room, leaving an odor of perfume which the servant girl also smelled. After this visit her flesh turned normal color, the fever ceased and on Sunday morning her health was completely restored. She went with her brother to San Giovanni Rotondo to see if Padre Pio was the one who appeared to her. When she arrived at the Monastery and saw Padre Pio in the church she turned to her brother and said, "There he is, he is the one!" About the year 1840 a certain man named Rochette took his son, who was sick, to the wonder-worker of Ars. His wife accompanied him; she went to confession and received Holy Communion. As for Rochette, he had but one concern: namely, to obtain the cure of his boy. He paid, indeed, a few visits to the church, but he kept in the neighbourhood of the holy water font. There he was when the saint, coming from behind the altar where he was hearing the confessions of priests, began to call him. He refused to budge. At that moment his wife and his son were close to the altar rails. "Is he really that much an unbeliever?" Father Vianney asked the wife. At last, at the third summons, the man decided to walk up the nave. "After all," he thought, "the Cure d' Ars will not eat me!" He went with Father Vianney behind the altar. There was no time to lose. "This is for both of us, Rochette," said the Cure, and, pointing to the confessional: "Go into there," he said. "Oh!" Rochette replied, "I don't feel like it." "Well, we shall begin here then." replied Father Vianney. Incapable of offering resistance to so sudden an attack, Rochette had fallen on his knees. "My father," he stammered, "..it is some time…ten years...."
"Make it a little more." "Twelve years then. . . ." "Still yet a little more." replied the holy Cure. "Yes, since the great jubilee of 1826." "Ah! there we are! One finds it by a dint of seeking." Rochette then made his confession like a child. The following day saw him kneeling by the side of his wife at the altar rails. Their boy, the faithful chronicler adds, left the church of Ars without his two crutches, for which he had no further use. The father was cured of his spiritual illness, the son the physical. A double miracle! Click here for more of St John Vianney's gift of reading into hearts. “Suddenly there was the sound of a high-pitched, harmonious and heavenly voice that accompanied the singing in the choir; at times it sang solo, at other times it harmonized with the choir, moving across from right to left; sometimes it passed close by the ears of one or other of the sisters. The joy which it brought filled our hearts with a happiness impossible to put into words. This wasn't of this world. We lived that day in paradise. From time to time, one had to leave the room ... The emotion that we experienced was so strong that it left you breathless until one had to call out: "Enough, dear Lord, enough!" At the convent in Besancon, France St. Colette foretold an event that would take place in the next century. A great fire, she foretold, would burn the convent building to the ground. The nuns were horrified and pressed the Saint to tell them if the fire could be stopped. Colette shook her head sadly and told the nuns: "When the big cross out there in the cemetery falls down across the graves, they will know the fire is about to come. Let them be warned and run out of the house. But they will not be able to prevent the disaster." The nuns who heard this prophecy from the Saint's lips wrote the warning in the convent's archives for their sisters of the next century. And so it was in 1510, that is 60 years later, the great cross fell over the graves. The nuns were terrified and began at once to take every precaution to prevent the fire that had been predicted. However, their precautionary endeavors were to no avail. The fire began and destroyed the convent the next day. It is said that perhaps God not only wanted to show that He was guiding His servant Colette and her Community throughout the ages, but also the indestructibility of the spiritual Community that Colette had built through the grace of God, since the convent was rebuilt soon afterwards, and remains even today. 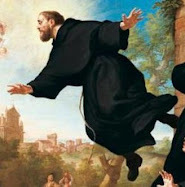 St Gerard Majella was often enraptured into remarkable levitations, often being drawn away by God for some distances. It was sufficient for St Gerard Majella to think of the love of God, or to contemplate the mystery of Incarnation, to cast his eyes upon a crucifix or a picture of the Blessed Virgin, or to be in the presence of the Blessed Sacrament. One of the many examples would be when St Gerard, intending to spend some days at Oliveto, received hospitality at the house of an archpriest named Don Salvadore. The miracle took place on the very morning of his arrival at Oliveto. Gerard had withdrawn to his room to pray. At the dinner hour, the archpriest went himself to invite him to dinner. But to his astonishment he found the brother ravished in ecstasy and raised about three feet from the ground. Filled with amazement, he withdrew, but returning shortly after, he found him in the same state. The whole household, all witnesses to the extraordinary event, unable to sit down to dinner, awaited the guest with tears of emotion. At last he appeared, his face all inflamed. "Please do not wait for me," he said to the archpriest. "I do not wish to inconvenience you." To preserve the memory of this rapture, the archpriest marked on the wall of the room the height to which he had seen the Saint elevated. Whenever Father Paul of Moll visited Antwerp he would call upon a certain invalid lady and her servant, Theresa. In the year 1887, he told the servant Theresa that she would know beforehand of his approaching visits. At his next visit he asked, "Well, have the little birds announced my coming?" As a matter of fact, on the eve of Father Paul's visits to the lady, beautiful little birds, varying in number from two to twelve at a time, began to make their appearance in the garden, singing a joyful air which was always the same. They would also perch on the window-sill of the drawing room which looked out upon the garden, and tap upon the window panes. Although the tune of the mysterious songsters never varied, they had at each successive visit a different plumage. Not only did the servant, Theresa, see the birds, but also the invalid lady and her nurse. None of them could tell where the colorful birds came from any more than Theresa could. The nurse tried repeatedly to catch one of the birds, but in vain. She spoke of it to Fr. Paul and he replied, "Oh! they won't let themselves be caught!" When asked about the beautiful little birds, Fr. Paul replied with a smile, "They are messengers." Fr. Paul then warned Theresa not to speak of the birds to anyone except to an intimate friend of hers. He then warned, "If during my lifetime you spread the news abroad, the birds will never come again." On the eve of Fr. Paul's death, the birds appeared once more, but they were somewhat dejected and with drooping wings sang a melancholy song which the members of the household understood to be a presentiment of a tragic happening. Six months passed before the birds returned again, and this took place when a photograph of Fr. Paul was hung in the invalid's drawing room. At this time they sang beautiful melodies, but it is reported that afterwards their visits were infrequent. As mentioned earlier, the birds appeared each time in a different plumage. Theresa, however, was able to give us a description as the birds appeared on Wednesday, September 30, 1897, a year and seven months after Fr. Paul's death. “The stigmata which Rose had in the back of her head, prevented it from resting on the pillow; so she was often seen with her arm under her neck; sometimes, it was replaced by small cushions. Frequently, she would use neither; her head then was bent forward, as though she had a kink in her neck. She was seen to remain for hours in that position. While it was depressing to see her that way, she never for a moment showed the least sign of discomfort. Even when the exterior signs of the other stigmata had disappeared, if she rested on her pillow, she felt the invisible thorns penetrating deeper. "St Anthony of Padua, one of the chosen disciples and companions of St Francis, whom the latter called his Vicar, was preaching one day before the Pope and the Cardinals in Consistory, there were therefore present at that moment men of different countries- Greeks and Latins, French and Germans, Slavs and English and men of many other different languages and dialects. "And being inflamed by the Holy Spirit and inspired with apostolic eloquence, he preached and explained the word of God so effectively, devoutly, subtly, clearly and understandably that all who were assembled at that Consistory, although they spoke different languages, clearly and distinctly heard and understood everyone of his words as if he had spoken in each of their languages. Therefore they were all astounded and filled with devotion, for it seemed to them that the former miracle of the Apostles at the time of Pentecost had been renewed, when by the power of the Holy Spirit they spoke in different languages. "And in amazement, just like in the Acts of the Apostles they said to one another: "Is he not a Spaniard?' How then are we all hearing him in the language of the country where we were born -we Greeks and Latins, French and Germans, Slavs and English, Lombards and other foreigners?" "On March 27, 1942 in a blaze of agony and adoring love, Alexandrina cried out to Jesus in the tabernacle of the nearby church, "Oh my Eucharistic Love, I cannot live without you! 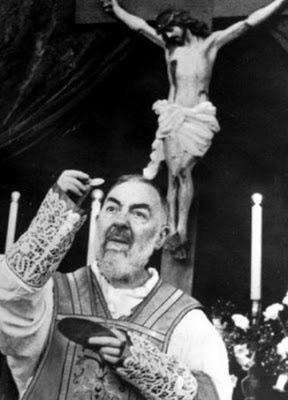 Oh Jesus, transform me into your Eucharist! 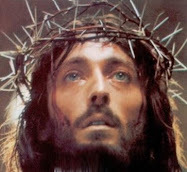 Mother, my dearest Mother, I wish to be of Jesus, I wish to be entirely yours!" "You will not take food again on earth. 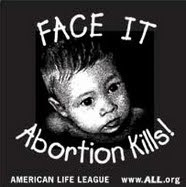 Your food will be my Flesh; your blood will be my Divine Blood, your life will be my Life. You receive it from me when I unite my Heart to your heart. Do not fear, my daughter. You will not be crucified any more as in the past .... And now a new trial awaits you, which will be the most painful of all. But in the end I will carry you to Heaven and the Holy Mother will accompany you." 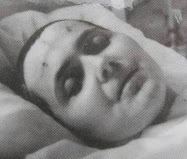 Thus on March 27, 1942 Blessed Alexandrina da Costa began an absolute fast which was to last more than thirteen years until her death, her sole nourishment being Holy Communion which she received with deep devotion every morning. Another of the many miracles attributed to the intercession of St Padre Pio was one that was reported during the summer of 1919, word of which reached the general public and the newspapers, despite the efforts of Padre Benedetto and Padre Paolino. This one, witnessed by Padre Paolino, concerned one of San Giovanni Rotondo's most unfortunate persons -a mentally and physically handicapped old man named Francesco Santarello. He was so pathetically clubfooted that he was unable to walk. Instead, he dragged himself about on his knees, supported by a pair of miniature crutches. The unfortunate little man labored up the hill to the friary Monastery each day to beg bread and soup, as he had done for years. Poor Santarello was a fixture in the community and everyone knew him. Some of the more uncharitable children of the town loved to tease the unhappy beggar, going so far at times as to knock the crutches from under his shoulders and then laugh uncontrollably as he tumbled onto the pavement. One day Santarello was positioned, as usual, near the door of the cloister, begging for alms. As usual, a large crowd had gathered, waiting for Padre Pio to emerge and enter the church. As Pio passed by, Santarello cried out, "Padre Pio, give me a blessing!" Without stopping, Pio looked at him and said, ''Throwaway your crutches!" Stunned, Santarello did not move. This time Padre Pio stopped and shouted, "I said, 'Throwaway your crutches!' " Then, without another word, Pio entered the church to say Mass. On December 16, 1898 while at the Elevation of the Host during Mass, St. Charbel he suffered an apoplectic stroke from which he never recovered. Eight days later, on Christmas Eve, at the age of 70, the saint died, having been a priest for 39 years. According to monastic tradition, the body was not embalmed, but was dressed in a simple cassock and was placed in the monastery chapel for 24 hours. The body was then conveyed to the monks' burial chamber in the presence of his confreres and village folk who had braved the snow and cold to witness the interment. The villagers who lived in houses facing the monastery saw a great light over the tomb the night following the burial, a phenomenon that recurred for 45 nights. 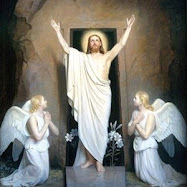 This apparition of light, together with the enthusiasm of the Faithful, encouraged the ecclesiastical authorities to open the tomb and transfer the remains to a grave more accessible to the villagers who wished to pray beside it. The tomb was subsequently opened on April 15, 1899 in the presence of the community and 10 witnesses who had been present at the burial four months earlier. They were unanimous in testifying that the water had undermined the burial ground, turning the tomb into a quagmire, and that the monk's body was actually floating on the mud. When the body was cleaned it was found perfectly incorrupt, the muscles supple, with the hair of his head and beard intact. At this time it was also noticed that a serum mixed with blood seeped from the pores. They placed the body in a wooden coffin that was glassed on top, and carried it into a small monastic oratory. From then on, because of the great amount of blood seeping from the body, the clothing of the saint was changed twice weekly. News of the phenomenon prompted ever increasing numbers of visitors who for 27 years were permitted to view and touch the body. The phenomenon is more astounding when one considers that in 1918, following a simple autopsy, the body was exposed on the terrace during the heat of summer for three months without initiating decomposition nor drying the source of the fluid. When the authorities of the order petitioned Rome for the beatification, a solemn reburial was conducted. After being dressed in sacerdotal vestments and the monastic hood the body was placed in a new coffin of wood covered with zinc. Various documents were composed by physicians, a notary and superiors of the order, and were placed in a zinc tube which was placed beside the body before the coffin was sealed with the Episcopal crest. Burial was in a new tomb specially prepared in the wall of an oratory. During February of the Holy Year 1950, pilgrims in the chapel noticed that a watery fluid streamed from a corner of the tomb and coursed its way onto the floor of the chapel. The fluid was traced to a corner of the casket where the liquid was seen dripping through a small crack. Twenty-three years after being placed in this tomb, the body was again examined in the presence of numerous authorities and was found completely free of any trace of corruption and was perfectly flexible and lifelike. For 67 years the remains of the saint remained perfectly preserved and was repeatedly examined by physicians with modern training, and the conclusion of modern medicine was that the preservation was inexplicable by scientific principles, and that such preservation was contrary to the natural laws, leaving even the most skeptical to conclude that the holy remains of St. Charbel were thus supernaturally sustained and preserved from any corruption.